19th Century xxl Buffalo Coat size 50 Full length / historical. We also have 19th Century Large Buffalo Coat and Bear Coats, Beaver Coats, even 100 yrs old buckskin coats. 19th Century xxl Buffalo Coat size 50 Full length / historical. 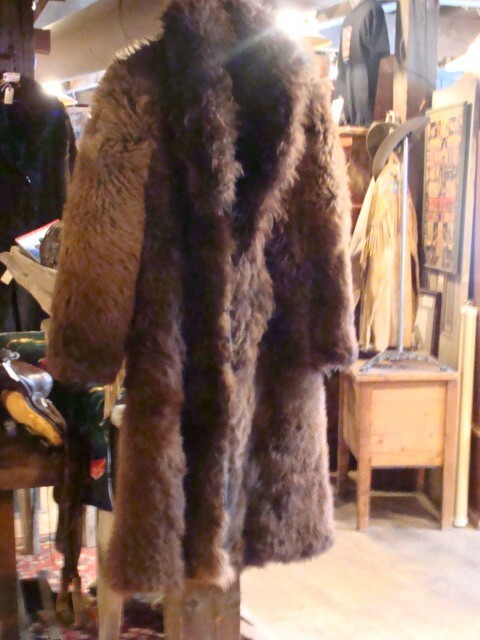 We also have 19th Century Large Buffalo Coat and Bear Coats, Beaver Coats, even 100 yrs old buckskin coats. Some out of Montana Please email cowboyron@cowboycabin.com with questions or call 406 270-2842.